What is the Engagement Score? 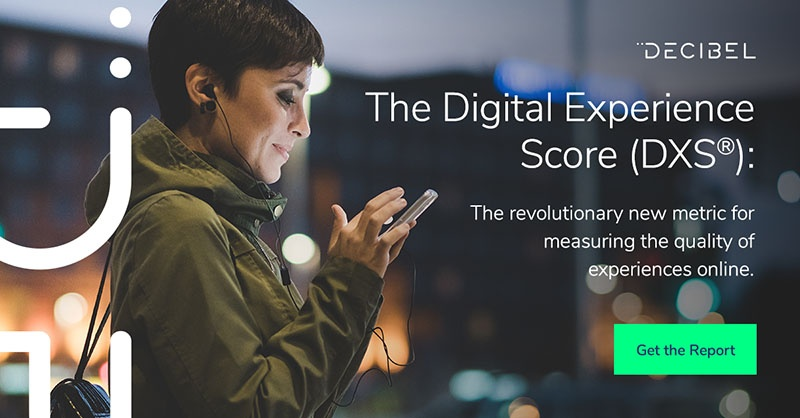 The engagement score is one of the five pillars of experience that are measured to produce the digital experience score (DXS®) of a digital property. It is scored between 0 and 10, with 10 indicating an exceptionally engaging customer journey. To receive a high engagement score, your customers must positively interact with your website or app. The more attentive users are, and the more positive behaviors they display, the greater the engagement score. When assessing how engaged users are with a website or application, it’s important to go beyond surface metrics like clicks, bounce rate and the length of time spent on a page. They might have your website open for 45 minutes, but if they’ve actually spent that time watching a video on another device, making dinner or chatting with a friend, it means very little in terms of engagement. The engagement score looks at a whole host of more subtle engagement metrics like focus time, scroll depth and velocity as well as behaviors like mouse reading and scroll engagement. A user actively navigating through the website or app and hovering over content, pausing to trace copy with their cursor and zooming in on mobile devices is displaying a high level of engagement. Decibel’s intelligent algorithms analyze all of these actions and quantify them into a single score, offering a much more sophisticated and complete look at engagement than the traditional view of page duration. Why is the Engagement Score important? A high engagement score indicates that a user is more likely to become a customer. Your content is targeted towards them and they’ve seen something interesting and relevant enough to hold their attention. Today, the majority of people will begin researching a significant purchase online. It’s at this step in the customer journey that your audience is at its largest. The more people you can engage with at this stage, the greater chance you have of converting them. Knowing which aspects of your digital property are the most engaging (and which areas are underperforming) give digital teams specific areas to focus on. Through multivariate testing, you can identify the most engaging version of your website or app and continually optimize it for the best possible digital experience. To learn more about the engagement score and how DXS® can help you identify opportunities for designing remarkable customer experiences, download the complete guide below. Alternatively, get in touch with our team today to book your free demo.